These aren't the ones you see every other day; neither are they made out of any flower nor made of diamonds. 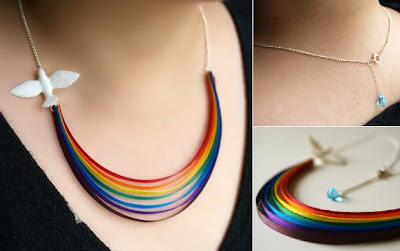 If you had enough of the typical ones, then these necklaces that are quite unique and creative are sure to get your attention. 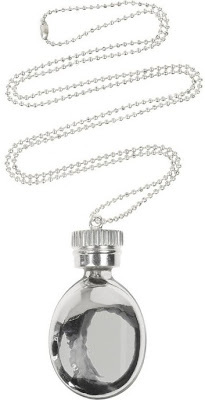 Liquid Necklace: Liquid Necklace Pendant by DAY Birger et Mikkelsen is made of plated silver and features a bottle shaped pendant. The Sun Necklace: Created by Mixko, it looks so pretty yet simple; "silver plated findings and chain, Czech crystal bead, polyester ribbons, plastic dove object." 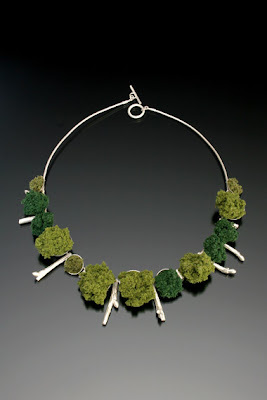 Veggie Necklace: "Each piece of kvast's veggie jewellery used to be a real vegetable. 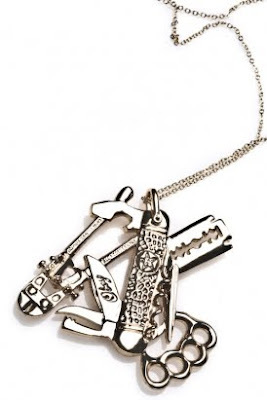 That makes every necklace and pin unique." 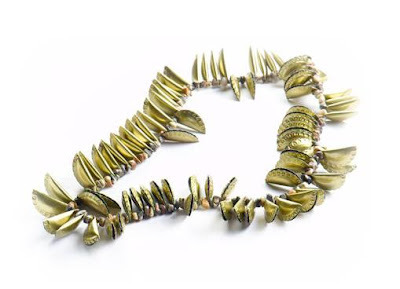 Bottle Caps Necklaces: Artist Yoav Kotik is the designer of the "Precious Metal" jewelry line. 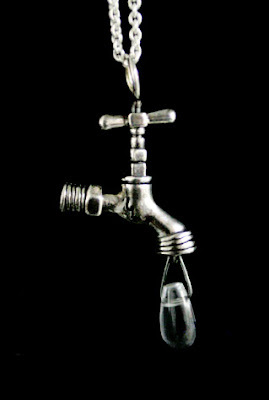 Using beverages' caps, he creates these wonderful designs; his interesting and unique jewelry includes earrings, bracelets, pendants, necklaces and more. 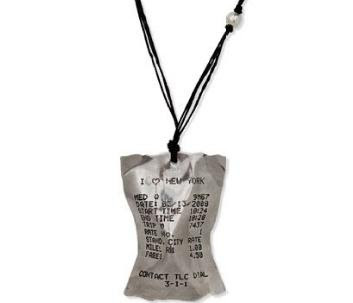 Taxicab Receipt Necklace: Created by designer Kristin Victoria Barron, this handmade sterling silver necklace re-imagines an everyday New York City icon, the taxicab receipt. 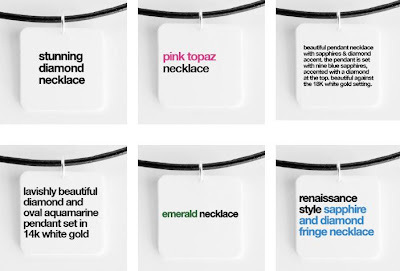 Wish List Necklaces: "…. diamond necklace for 25 bucks. This is a great holiday gift for someone who has a sense of humor." 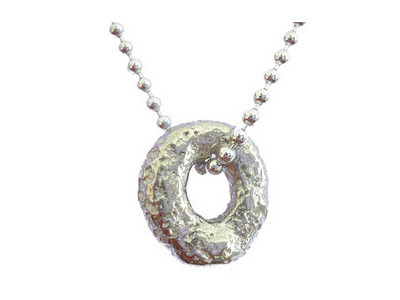 Breakfast Cereal Necklace: This solid sterling silver charm cast from an actual piece of breakfast cereal speaks for self. 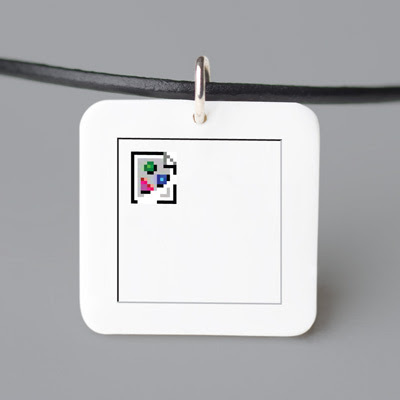 Broken Image Necklace: No need to clear your cache, put this around your neck, and voila. Your necklace has failed to load. 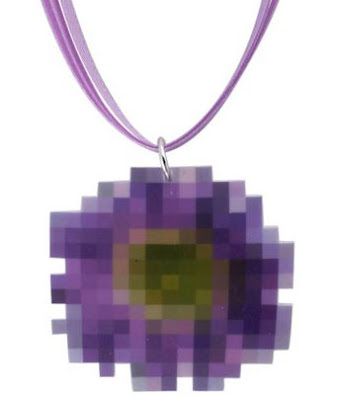 Pixelated Posey Necklace: It comes with a lilac lace strap and is available from Mod Cloth. 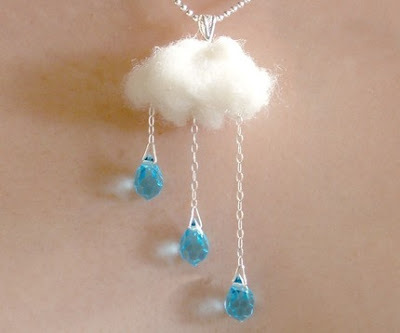 Water Necklace: Designer Linda Loudermilk created this one! Bush/Branch Necklace: "Sterling silver, model railroad "bushes" and "underbrush" comes with cherry/glass shadow box". 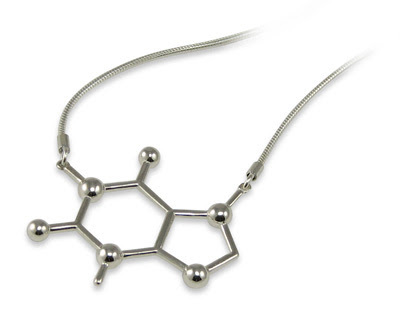 Sterling Silver Necklace: This sterling silver pendant is about 1.5 inches wide. 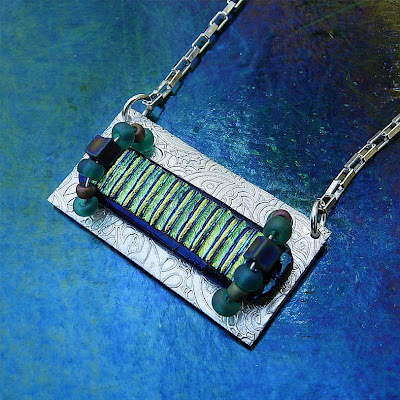 Barcode Necklace: This unusual necklace combines fine silver, sterling silver and fused dichroic glass in ocean blues and greens and is held in place by sterling silver wire wrapped with teal and purple glass and ceramic beads. Quail Eggshell Necklace: This unusual necklace has a pendant made out of an actual quail eggshell. The eggshell "is lined with 23k gold leaf, which gives off a buttercup-like glow …." 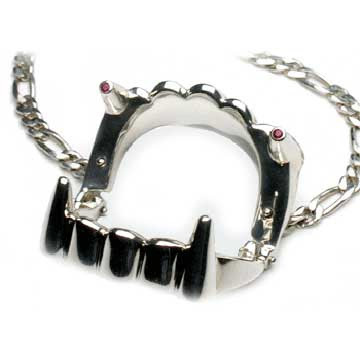 Silver Teeth Necklace: Doesn't it look cool! Guitar Pick Necklace: These are handmade from real guitar picks by artist Amy Pfaffman. Pencil Shaving Necklace: Handmade by Victoria Mason for all the people who have tried to save a beautiful pencil shaving, this one you can keep forever. 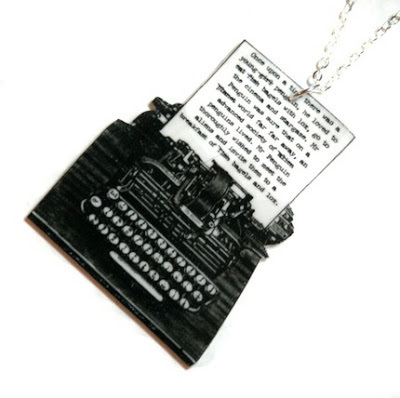 How to write a story Necklace: "Of course it involves many revisions and corrections to get it quite right. 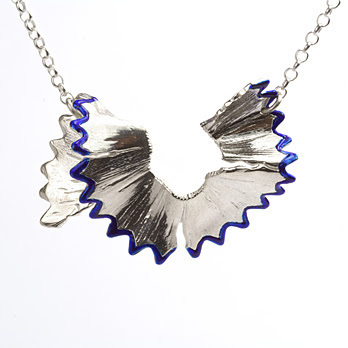 This necklace features the beginning of a story about a curious penguin." 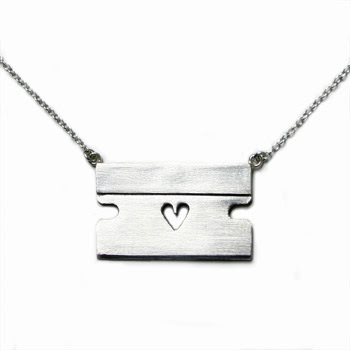 Razorblade Necklace: The edge is not sharp, nice and smooth for your safety. 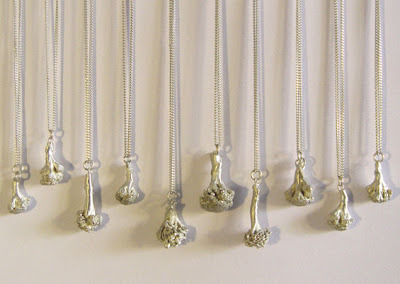 Popcorn Necklace: Handmade in by artist Laura Lobdell. 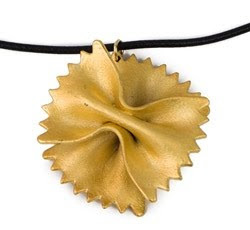 Farfalle Pasta Necklace: This brass pendant is meant to resemble farfalle or `bow-tie` pasta designed by a Hongik University student. 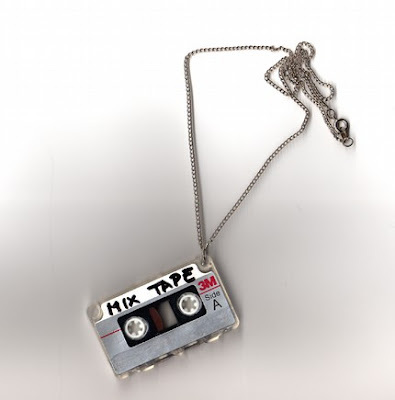 Recycled Records Necklaces: Made of recycled vinyl records. 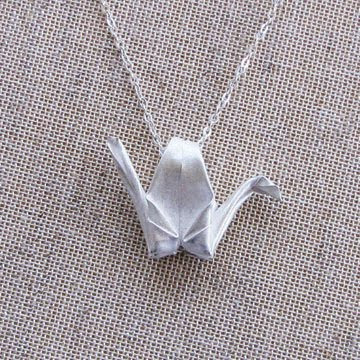 Origami Crane Necklace: This necklace features the classic crane. 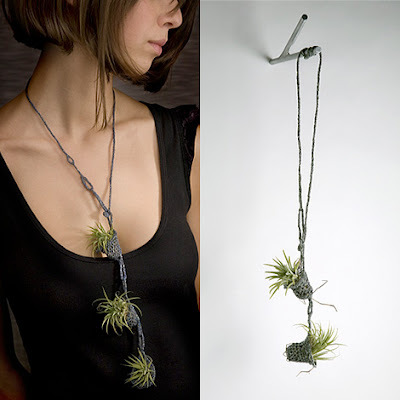 Living Necklaces: This one comes from Paula Hayes. 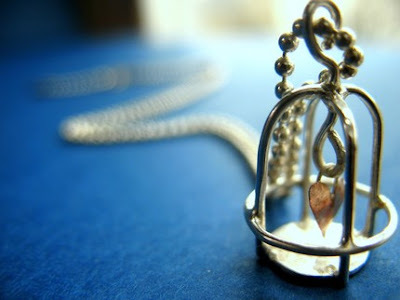 Birdcage Necklace: It's a tiny birdcage, entirely handmade. 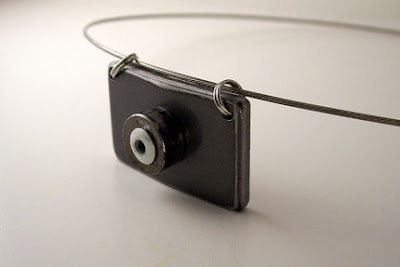 Don't miss to check out "Creative and Unusual Necklaces - Part: 1| 2."